What is concealer? It is all in the name. Using concealer helps “conceal” any redness, darkness under the eye, acne scars, discoloration, or almost anything that gives your skin an uneven color. What is awesome about concealer is that it can be used sparingly without foundation for a natural look. When choosing a concealer, I lean more towards lightweight products. Cakey (thick and heavy) consistencies make my skin feel extra greasy. Although, thicker formulas of concealer can work for a smooth, flawless look. It all falls on personal preference: lightweight or heavy, you can find something that works for any skin type. Mabelline Master Conceal does not have an applicator. You have to be careful with the amount that comes out. A little goes a long way. For glam looks, after I put on foundation, I like to put concealer under my eyes, on my forehead, down the bridge of my nose, and on either sides of my nostrils. These are the areas where I have the most issues with dark spots or redness. Then you can use a full foundation brush or a damp makeup sponge to blend out the product. When finding a concealer shade, it is recommended to go two shades lighter than your foundation. Using a lighter shade allows you to highlight points of your face (like I listed above) that will make you look brighter and more awake. If you are looking for more of a basic coverage, you can use a concealer similar to your skin tone. 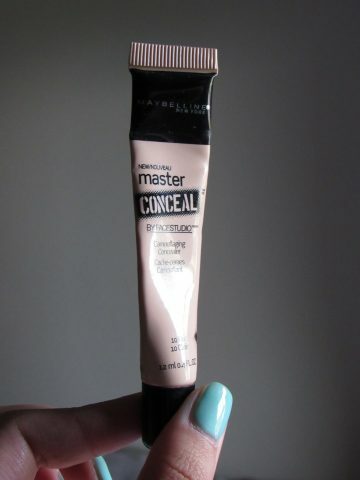 Affordable concealers I’ve tried: Maybelline Master Conceal in the shade 10 Fair ($8.99), NYX HD Concealer in the shade CW01 ($4.99) and Sephora’s Bright Future Gel-Serum in the shade 02 Meringue ($14.00). Using color correctors under foundation also help brighten your features. I like to pair my NYX HD Photo Concealer in the green shade to neutralize redness. The Maybelline Master Conceal is a great full coverage concealer, but you do have to blend and set with a setting powder or it will crease under your eyes. Creasing is when product settles in your fine lines which cause your makeup to separate and look uneven. Don’t forget to get samples wherever you shop for makeup. Testing out products before committing is always a great idea! Have a product in mind you would like tested or talked about in this column? 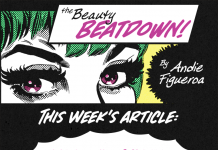 Please leave a comment below or email me at thebeautybeatdown@gmail.com. A makeup lover, a writer, and a proud dog mom.